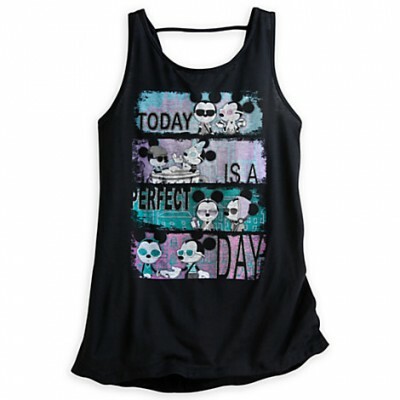 But this is the Perfect Tank Top to go with the Perfect Day. This Mickey and Minnie Tank Tee is super soft and super cute, to boot, with that cool strappy v-neck thing going on in the back that gives it an edge. Plus, it sparkles. Just like your eyes when you think about Disney. Check out our other Favorite Disney Tees in our Gift Guide!